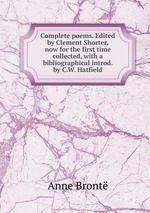 Аннотация к книге "Complete poems. Edited by Clement Shorter, now for the first time collected, with a bibliographical introd. by C.W. Hatfield"